Tassel Ridge Winery has a tasting room with an experienced staff ready to help you. Tasting good wines is a fun way to finish a trip to our Winery. 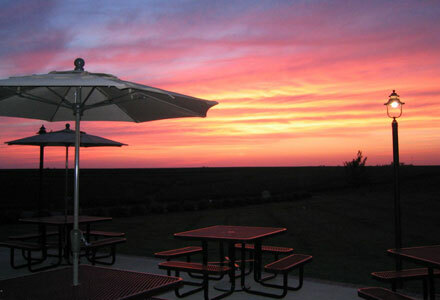 Try our gourmet Iowa cheeses and a glass of Tassel Ridge wine on our terrace. The sun setting in June at Tassel Ridge Winery.